Discover the allure of Morocco on this 5-day tour from Malaga with hotel accommodation, a round-trip ferry crossing and city tours included! Led by an expert guide, your package includes visits to the countrys five most enchanting cities. 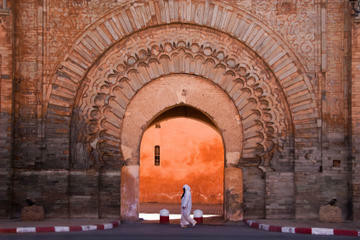 Explore Casablanca -- Moroccos largest city -- and get to know the medieval city of Marrakech. Visit the Imperial city of Meknes, see architectural marvels in Rabat, and discover the delights of Fez  Moroccos cultural capital. Your tour includes four nights of accommodation in your choice of standard or superior hotels; enjoy overnight stays in Casablanca and Marrakech, and two nights in Fez. All hotels are centrally located for maximum convenience, and youll have time to enjoy these incredible towns independently in between excursions.